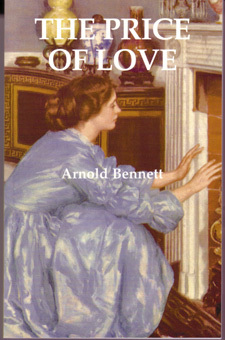 Arnold Bennett’s penultimate Five Towns novel is a vivid and dramatic portrayal of provincial society about to change for ever with the outbreak of World War 1. It is a picture of traditional private behaviour and the inevitable march of public profess, whether in commerce, transport or entertainment. In Rachel Fleckring, Bennett has created another of his strong sympathetic heroines, forced to stamp her authority upon a male dominated world. We also meet the memorable and monstrous Thomas Batchgrew – cinema entrepreneur, local politician and all-round dubious character. The redoubtable charwoman, Mrs Tams, is both cleaner and conscience. the struggle for respectability and honesty is player out in kitchens, works offices shops and, intriguing, the cinema.